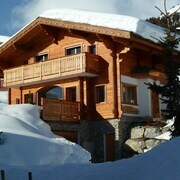 Situated in Anzere, this chalet is within 1 mi (2 km) of Bisse Ayent Trail, Pas de Maimbre, and Bisse de Sion Trail. Bisses Museum is 2.8 mi (4.6 km) away. The view was amazing we really appreciated that. Breakfasts too were good. Where to find Anzere hotels near an airport? Where can I find hotels in Anzere that are near tourist attractions? If you are trying to decide where to spend the night while vacationing in Anzere, there's a wide assortment of suitable options to choose from. About 29 apartments and hotels are within a 0.1-kilometre (0.06-mile) radius of Anzere's downtown. Anzere features a number of handy places to stay, such as the Hôtel des Masques and Hotel-Restaurant de la Poste. 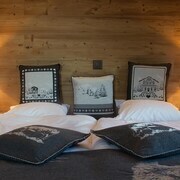 You could also check out the The Alpina Gstaad as well as the LeCrans Hotel & Spa. 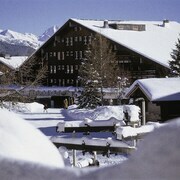 The The Alpina Gstaad is situated 20 kilometres (13 miles) away from the main part of Anzere. The LeCrans Hotel & Spa, is situated 5 kilometres (3 miles) away. 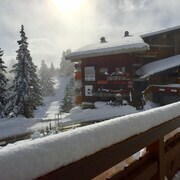 Some other accommodation options in this area include the W Verbier and the Grand Hôtel du Golf & Palace. Leukerbad is 19 kilometres (12 miles) to the northeast of Anzere and is where you'll find Leukerbad Ski Resort and Alpentherme Thermal Baths. 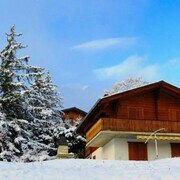 If you'd like to stay in Leukerbad, check out the Les Sources Des Alpes and Aparthotel dala. Alternatively, you could consider staying at Vionnaz, 40 kilometres (26 miles) to the west of Anzere, where you can choose from the Macchi Hôtels-Chalets de Tradition and Le Roitelet. If you're staying in Vionnaz, a couple of places to add to your itinerary are the Chablais Historical Museum and Télésiège Grands Places. Just because you're on vacation, doesn't mean you can't enjoy your passion for sports. Stade de Suisse Wankdorf is situated 75 kilometres (46 miles) to the north of Anzere. Book accommodation right near the action at the Hotel Bellevue Palace or the Hotel Schweizerhof Bern. If you are flying into or out of Belp Airport and would like to stay nearby try Apartments Justingerweg or Hotel Sternen Muri. What are the most popular Anzere hotels? Are there hotels in other cities near Anzere? 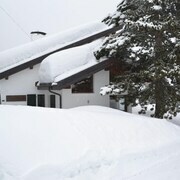 What other types of accommodations are available in Anzere? Explore Anzere with Expedia.ca’s Travel Guides to find the best flights, cars, holiday packages and more!